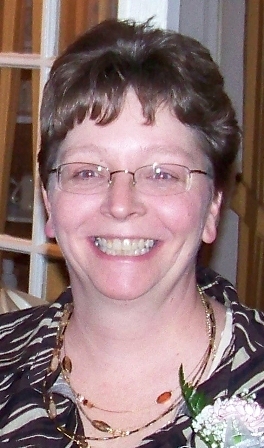 Michelle Smith, age 50, of 44 Liberty Street, Salamanca, New York died on Tuesday April 23, 2013 at her home surrounded by family and friends. Born on November 9, 1962 in Oneonta, New York, she is the daughter of Hyler and Dorothy Preston Gray, Salamanca, New York. She was married in 1987 to Mr. Curt Smith who survives. Mrs. Smith was a graduate of Salamanca High School class of 1980 and had attended Del High Technical School majoring in hotel/restaurant management. She had previously been employed at Elkdale Country Club, the manager of the former Leaskey Liquor Store, and had worked at Central Lanes. She was a Board Member of the Women's Bowling Association for several years and was a member of the Holy Cross Athletic Club. Surviving besides her husband and parents are: 3 daughters, Elizabeth (Benjamin) Starr, Salamanca, New York, Melissa Smith, Salamanca, New York, Brittany (Joshua McDowell) Smith, Salamanca, New York; 4 grandchildren, Lily Starr and Curtis Starr, Romolla McDowell, Sage McDowell all of Salamanca, New York; a sister, Heidi LaCroix, Killbuck, New York; several nieces and nephews including Nicholas LaCroix and Jessica LaCroix. Friends may call at the O'Rourke & O'Rourke Inc. Funeral Home, 25 River Street, Salamanca, New York on Friday from 2 - 4 p.m. and 6 â€“ 8 p.m.
Funeral services will be held in the funeral home on Saturday, April 27, 2013 at 2 p.m. with the Reverend Lee Kronert officiating. In lieu of flowers, the family suggests memorials to St. Jude Children's Research Hospital, Roswell Park Cancer Institute, and Homecare-Hospice.